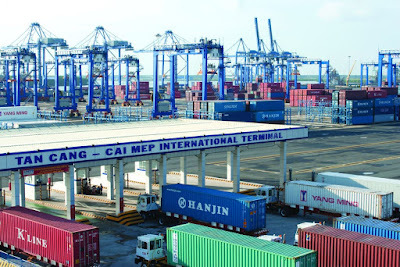 Customs officers at the Tan Cang Cai Mep-Thi Vai Port found a shipment suspicious and carried out an inspection. 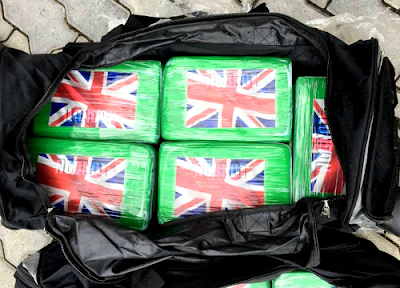 Inside one of the containers, they found 119kg (262 pounds) of high-quality cocaine, putting the total value of the haul at up to $34.5m. 42-year-old Nigerian Ugah Victor Uchenna reacts to being sentenced to death for drug trafficking. Despite having some of the toughest drug laws in the world, Vietnam is a key trafficking hub for narcotics and has seen a sharp rise in drug trafficking. In the first five months of this year the amount of confiscated heroin has doubled and that of ecstasy has increased by 30 percent. 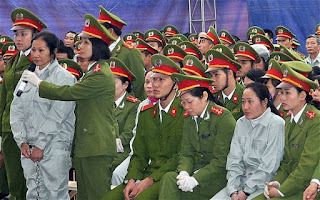 In 2014, 30 men and women, all Vietnamese, were found guilty of drug trafficking and given the death penalty.